Budget Hero seeks to provide a values- and fiscal-based lens for citizens to examine policy debates during this election year. Partisan messages tend to cloud the real issues at play during campaigns, and most candidates are loath to attach detailed financial impacts to solutions which make up their platform. 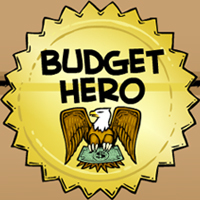 Budget Hero provides an interactive experience involving policy options that have been extensively researched and vetted with non-partisan government and think tank experts to enable players to objectively evaluate candidates.